Debate is raging, more comments and posts will surface on Greenie Mayor Cull’s witless screwy remarks at Otago Daily Times today. 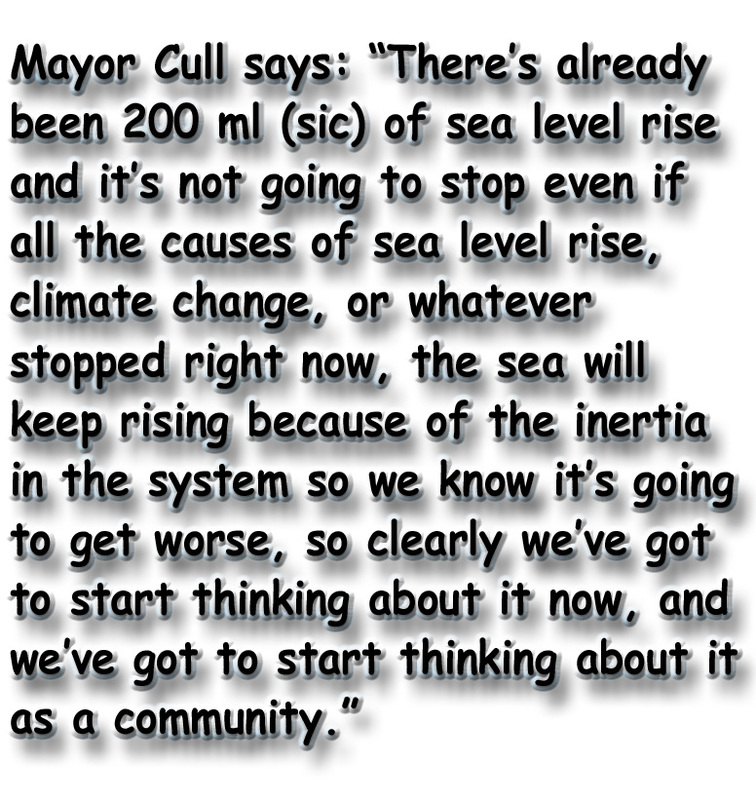 Fri, 5 Jun 2015 at 4:20 p.m.
You might find this interesting in view of all the alarm and hype over the latest flooding. 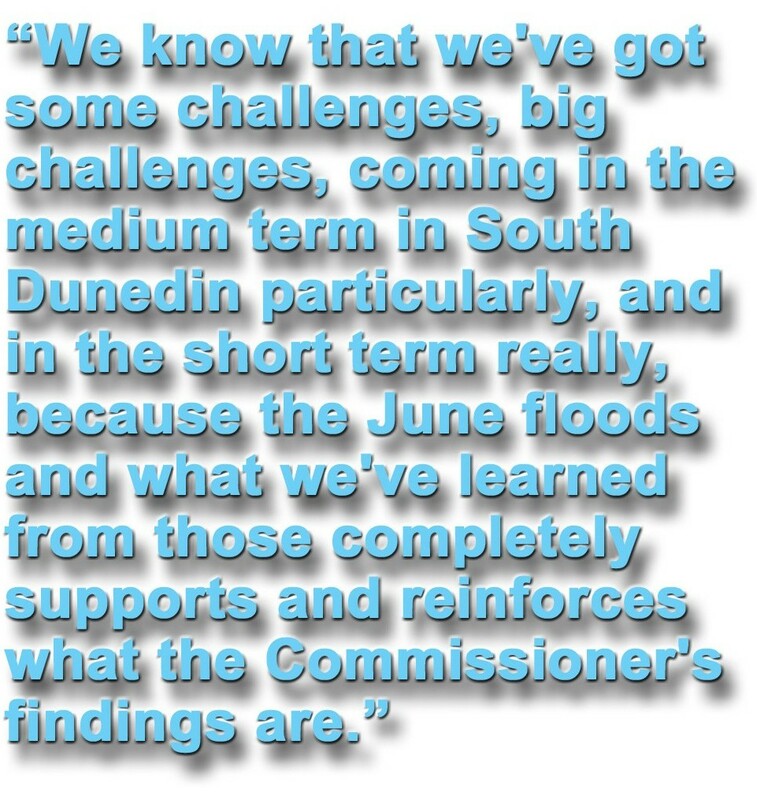 The Green Party is entirely wrong to blame the 3 June Dunedin flooding on climate change. Why? Because they show that the severe flooding two days ago is not new. Unusual, but not unique. A combination of rainfall data and photographs makes these comments as convincing as they were prompt. The flooding in Dunedin on Wednesday was not caused by climate change, a University of Otago climatologist says. “I think this is just a weather event,” Dr Nicolas Cullen, of the department of geography, said. 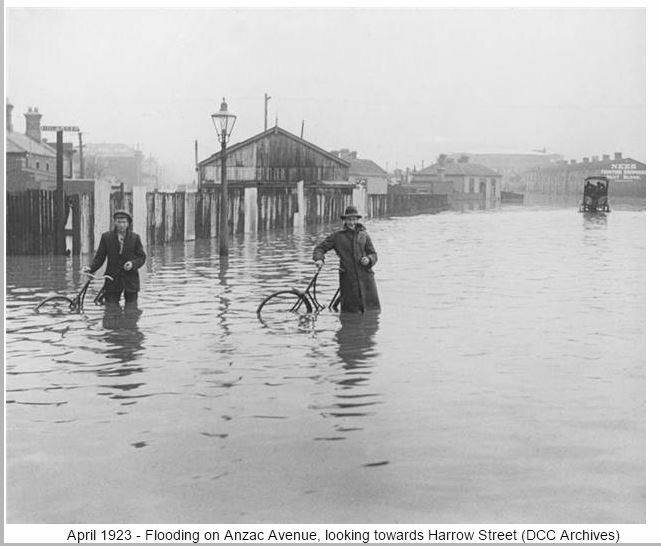 ….Dunedin has experienced two bad floods, one in 1923 and another in 1929. More rain fell in the 24-hour periods than what we got on Tuesday/Wednesday. In the first 1923 flood, 229mm (9.02 inches) fell (measured at Musselburgh) and in 1929, 279mm (11.0 inches) fell (measured at Ross Creek reservoir). Figures are from City of Dunedin, a history by K C McDonald. Our recent big rain was only 175mm in 24 hours. Probably it wasn’t severe enough to be called a one in 100 year event. Based on these three measurements, it looks like severe rainfall in Dunedin has become less frequent and less intense. And if Tuesday’s flood was caused by Global Warming, then what caused the other floods? If it was the weather that caused the earlier floods, then why would you think that it wasn’t the weather that caused the recent flood? A very serious problem for crusaders that blame extreme weather on Global warming is that for at least the last 17 years there has been no warming trend of global temperatures. In fact there has been a slight cooling trend. 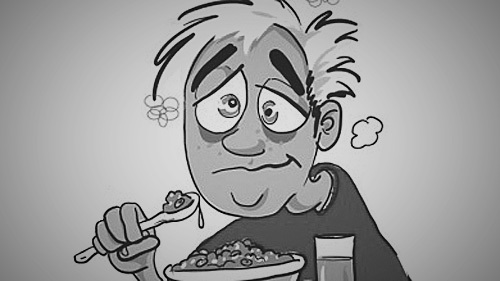 The conclusion is that anything that has happened over the last 17 years can not have been caused by Global Warming (because there has been none). Don’t expect to get credible scientific advice from the Labour Party, Dave Cull or Jinty MacTavish. Well, I just did a bit of checking and the Resource Management Act was amended in 2004, putting the responsibility fairly and squarely on to local councils to budget and plan for and take responsibility for reasonably anticipated effects of climate change. 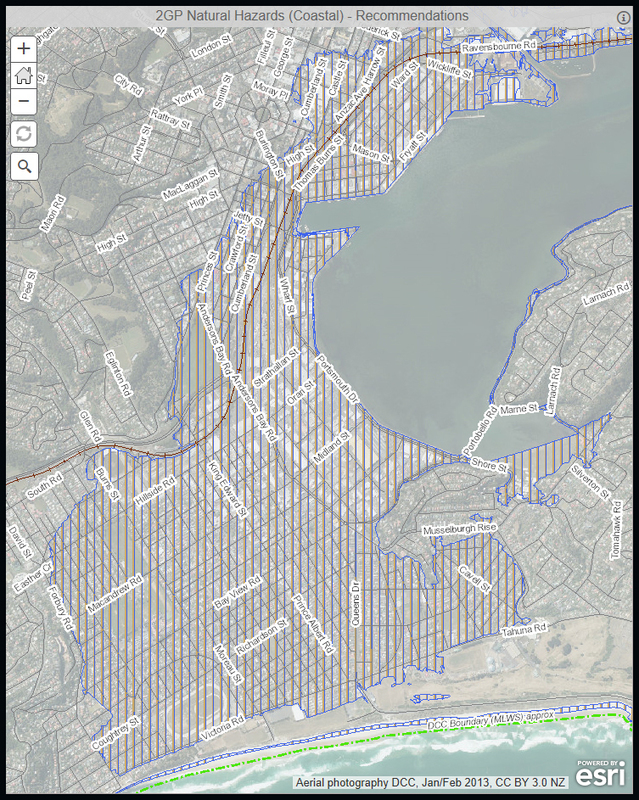 There’s a guide about what local councils have a legal responsibility to do on the website for the Ministry for the Environment (mfe.govt.nz – local government and climate change). Mayor Cull’s claims that maintenance is up to scratch and that 100-plus-year-old pipes held up as well as could be expected are ridiculous. He is merely asserting that the DCC is not at fault in any way. And trying to offload the responsibility for any climate change effects on to central government when councils have known since 2004 that it was a local government responsibility. Even if you think climate change is a myth, it seems prudent to protect a city against a 1 in a 100 years weather event. I wonder if the DCC can truthfully say they have been doing that.